A modular home is a prefabricated home that is made of multiple modules or sections that are manufactured and substantially assembled in a manufacturing plant. These pre–built sections are transported to the building site and constructed by a builder to meet all applicable building codes for site–built homes. How can a modular home earn the ENERGY STAR? A home earns the ENERGY STAR by meeting strict program requirements for energy efficiency set by the U.S. EPA. The program requirements applied to modular homes are the same as those applied to site–built homes. However, modular homes designed and produced in the plant to meet the ENERGY STAR program requirements are only "ENERGY STAR certified" after they are inspected and verified on site and receive the blue ENERGY STAR Certified Home label. Homes cannot be marketed or promoted as "ENERGY STAR labeled" or "ENERGY STAR certified" until the site verification process has been completed by a third–party verifier. Each modular home is rated by a third–party Home Energy Rater (or equivalent). The Home Energy Rater must coordinate with the plant and the site builder to verify those ENERGY STAR–related features of the home that are installed both in the plant and on–site. Utilize the verification procedures described below which involve a plant certification process to certify that a plant has incorporated ENERGY STAR requirements into its in–plant inspection procedures and can consistently produce modules that can earn the ENERGY STAR, as well as an on–site inspection process where a third–party consultant visually checks that all ENERGY STAR requirements have been met. The plant certification process as well as oversight and enforcement of all quality assurance requirements related to designing, producing, and installing ENERGY STAR certified modular homes is the responsibility of a Quality Assurance Provider (QAP). The Systems Building Research Alliance (SBRA) has been approved by EPA as a national (QAP) for ENERGY STAR certified modular homes. For SBRA's compliance procedures for certifying modular homes, go to www.research-alliance.org. Which Version of the Program Requirements Should I Use? To produce modules for homes that, when constructed, can earn the ENERGY STAR, a manufacturing plant must first demonstrate to the satisfaction of a qualified and Quality Assurance Provider (QAP)–approved third–party consultant that it has the ability to consistently produce homes that comply with the ENERGY STAR requirements with respect to all work conducted in the plant. This results in the plant being certified by the third–party consultant to produce modules that can earn the ENERGY STAR. All work of the plant is conducted under the oversight of the third–party consultant who is a specialist in factory building with expertise in energy efficient construction. Education – Plant personnel must be properly trained in all ENERGY STAR requirements and procedures. Plant staff and the third–party consultant must document all in–plant and on–site ENERGY STAR requirements and procedures and provide this information to all plant personnel as well as to builders that the plant utilizes to build ENERGY STAR certified modular homes. Inspecting and testing – As a condition of plant certification, the plant must have its homes third–party inspected and tested both in the plant and on site to establish the plant’s ability to routinely build compliant homes. Maintaining plant certification – The plant must be periodically re–inspected by the third–party consultant to confirm that proper procedures remain in place and to resolve production–related problems if and as they arise. To participate in building ENERGY STAR certified modular homes under these procedures, builders have to first demonstrate the ability to consistently meet ENERGY STAR requirements by establishing specific on–site inspection and testing procedures that includes the use of an independent third–party who can visually verify and document that each home has met all program requirements prior to earning the ENERGY STAR label, and that also includes a process for addressing non–compliance issues. These procedures must also include reporting requirements for builders to report their ENERGY STAR activity to the QAP. Builders must also be ENERGY STAR partners to use ENERGY STAR's partner–only logo and to be listed on ENERGY STAR's Partner Locator. In–Plant Inspection and Verification Procedures. Plants must comply with their third–party–approved QA/QC process and label each home that is to be ENERGY STAR certified with a unique identifier recognizable by the third–party field inspector. This identifier indicates to the field inspector that all ENERGY STAR requirements in the plant have been met. On–Site Inspection and Verification Procedures. A third–party consultant must inspect, test and certify homes installed and completed by the builder on site, as well as report qualifying homes to the QAP. The QAP approves and monitors this third party, who must possess qualifications appropriate for the task as defined by the QAP. Site testing follows a sampling protocol, reflecting the fact that the manufacturing plant has been certified and has demonstrated the ability to consistently produce homes that comply with ENERGY STAR requirements. ENERGY STAR provides its active partners the opportunity to utilize the ENERGY STAR brand in promoting homes that earn the ENERGY STAR label. Modular manufacturing plant and builder partners must adhere to ENERGY STAR's Brand Brand Book when promoting ENERGY STAR certified modular homes. These guidelines describe how the ENERGY STAR name and marks may be used in promotional materials. In addition, ENERGY STAR distributed a letter (657KB) and a quick logo–use reference guide (2.0MB) to all ENERGY STAR modular plant partners that provides clarification on how plants can use the ENERGY STAR brand. EPA is requesting stakeholder feedback on the proposed Version 2 draft of the ENERGY STAR Manufactured Homes program (PDF, 185 KB). All comments should be submitted to EPA via email at energystarhomes@energystar.gov no later than May 6, 2019. All submitted responses will be posted on the ENERGY STAR website. Update 4/10/19: Based on early feedback, EPA updated the draft to clarify the intent of duct insulation requirements in Exhibit 1. Update 4/10/19: EPA has received stakeholder comments suggesting an adjustment to the “High-Efficiency Furnace” package. The suggestion is to remove the 14 SEER air conditioning efficiency measure from the “High-Efficiency Furnace” package, which would eliminate the need to verify the outdoor AC unit for homes using that package. 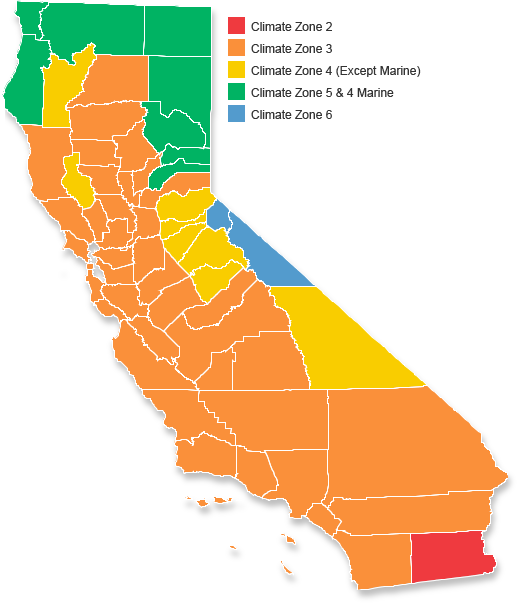 In exchange, the package’s attic insulation requirement in climate region 3 would be raised from R-33 to R-38. EPA welcomes input on this proposed tradeoff in your comments on the proposed Version 2 draft. ENERGY STAR’s requirements for manufactured homes afford the manufactured housing industry a unique opportunity to extend the advantages of controlled-environment factory production to include exemplary energy performance. A manufactured home earns the ENERGY STAR by meeting strict program requirements for energy efficiency set by the U.S. EPA. Manufactured homes are ENERGY STAR certified only after they are inspected and verified on site as having met all ENERGY STAR requirements and have received the blue ENERGY STAR certified home label. A manufactured home may earn the ENERGY STAR label by being produced within a plant that is an ENERGY STAR partner and whose ENERGY STAR activity has been certified by an EPA-recognized Quality Assurance Provider (QAP). The plant certification process, as well as oversight and enforcement of all quality assurance requirements related to designing, producing, and installing ENERGY STAR certified manufactured homes, is the responsibility of the QAP. The Systems Building Research Alliance (SBRA) has been approved by EPA as a national QAP for ENERGY STAR certified manufactured homes. Northwest Energy Works serves as a QAP for ENERGY STAR manufactured homes produced by plants within the Pacific Northwest. Updated guidelines (3.83MB) for right-sizing cooling equipment for manufactured homes is now available. These guidelines were developed to eliminate the problem of choosing equipment that is oversized and that contributes to higher than necessary energy consumption. The guidelines consist of nine maps covering the continental U.S. plus a Sizing Table containing recommended cooling equipment sizes (in tons). The maps are divided into counties. Contiguous counties with the same sizing recommendations are combined into Sizing Groups. The federal tax credit for producers of ENERGY STAR certified manufactured homes expired on December 31, 2016. For information on federal income tax credits for energy efficiency. As part of the plant certification process described above, manufacturing plants must become ENERGY STAR partners. Active partners gain access to partner-only resources such as the ENERGY STAR logo that can be used in promoting ENERGY STAR certified homes in accordance with the ENERGY STAR Brand Book. Active partners are also listed on the ENERGY STAR Partner Locator. Active plant partners that meet or exceed a threshold number of ENERGY STAR certified homes produced are eligible for an ENERGY STAR Certified Homes Market Leader Award. There is no application necessary to be eligible for this award. Plant recipients are selected each year by EPA based strictly on the number of ENERGY STAR certified manufactured homes they have produced during the calendar year. For more information about the ENERGY STAR Certified Homes Market Leader Award contact energystarhomes@energystar.gov. A fact sheet (180KB) is available for manufacturing plants that produce and label ENERGY STAR certified manufactured homes to use in promoting their homes to consumers. EPA allows existing homes to earn the ENERGY STAR when all requirements of the ENERGY STAR Certified Homes program are met. EPA does recognize that some of the current program requirements present unique challenges for existing homes, even those undergoing a gut rehabilitation. To help mitigate these challenges, EPA has developed alternative compliance options for existing homes. These alternative options are for specific items on the ENERGY STAR Certified Homes Inspection Checklists and have been incorporated directly into the Inspection Checklists with the release of Revision 07. These alternatives are available for use and are listed in the Policy Record. See Recent Policy Changes and Clarifications. EPA acknowledges that additional alternatives, increased flexibility, and alternative assessment protocols would expand the number of homes able to earn the ENERGY STAR. EPA is committed to including additional alternatives as they become available so that more homes may earn the ENERGY STAR label without sacrificing performance. Summary of Public Comment Period for Proposed Alternative Pathways for Gut Rehabilitation Projects (222KB) — This document contains a summary of comments received during the gut rehabilitation comment period, along with EPA's response to each point raised and the resulting policy change, if any. These requirements apply to site-built and modular single family homes, duplexes and townhomes. Low-rise multifamily projects permitted prior to January 1, 2021, may also be certified through this program if they meet the eligibility requirements defined in the program requirements, below. For other multifamily new construction, manufactured homes, and single family homes undergoing gut rebab, click on the appropriate tab above. Homes in CA must be certified using the CA Program Requirements Version 3.1 (PDF, 134 KB) if permitted on or after 04/01/2016 but before 07/01/2018. Homes in CA must be certified using the CA Program Requirements Version 3.2 (PDF, 134 KB) if permitted on or after 07/01/2018.